Mérida, Venezuela (28/09/2018). 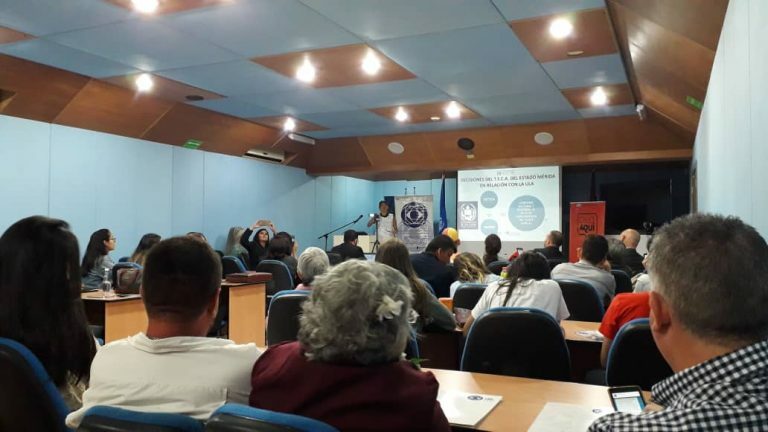 — The Observatory of Human Rights of the University of Los Andes (ODH–ULA) presented on Sept. 27, 2018, its annual report, Human Rights Violations and Humanitarian Emergency in Venezuela with Focus on the Andean Region. Human rights violations committed between January to September 2018, including the erosion of democratic institutions, the dismantling the rule of law, and the politicization and subordination of the judiciary to the executive power, were documented by the ODH–ULA in this report. These violations were also found in smearing and criminalizing campaigns, the usurpation of popular-elected governors’ duties and functions, restrictions on political participation in the Andean states, attacks against human rights defenders, contempt with support of other State organs, impunity and violation of the right to reparation, among others, which evince the humanitarian crisis Venezuela is facing. The ODH–ULA published its most recent report presenting the current humanitarian in Venezuela. Prof. Mario Bonucci, rector of the University of Los Andes, joined ODH–ULA staff during the exposure, in which it was explained how the Venezuelan State pretends to put an end to the principles of university autonomy and academic freedom by creating an economic siege, imposing hand-to-mouth living conditions for the university community, and using illegitimate judicial orders. 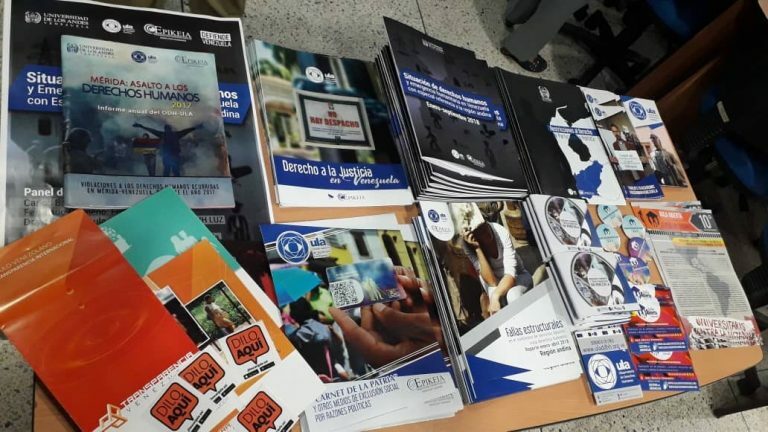 The lack of justice for the victims of violent repression in 2017 is also documented in this report, emphasizing that, to this date, there are 14 cases of deaths in the context of demonstrations that remain unpunished, including the death of police officers or the case of Daniel Infante, a ULA student who was shot in the head while standing in the gates of his residential building and was left in vegetative state; that is, only two detainees in relation to a death toll of 16 fatal victims. The ODH–ULA released the new report documenting human rights violations in the Andean Region of Venezuela. Additionally, the Observatory of Human Rights of the University of Los Andes documented the destruction of the institutional framework and production apparatus of the country, which has led to a humanitarian emergency in addition to the deterioration of public services and collapse of health care and education systems, among others issues. Prof. Mario Bonucci, rector of the ULA, was at the presentation of the ODH–ULA annual report. In this new report, the ODH–ULA also called on the Venezuelan State to: (i) Ensure access to an autonomous, independent, impartial, and competent judicial system to all citizens; (ii) Comply with the constitutional mandate established in Article 62 of the National Constitution, Article 23 of American Convention on Human Rights, Article 25 of International Covenant on Civil and Political Rights regarding the right to citizen participation; (iii) and Respect the autonomy of municipalities and federal states. 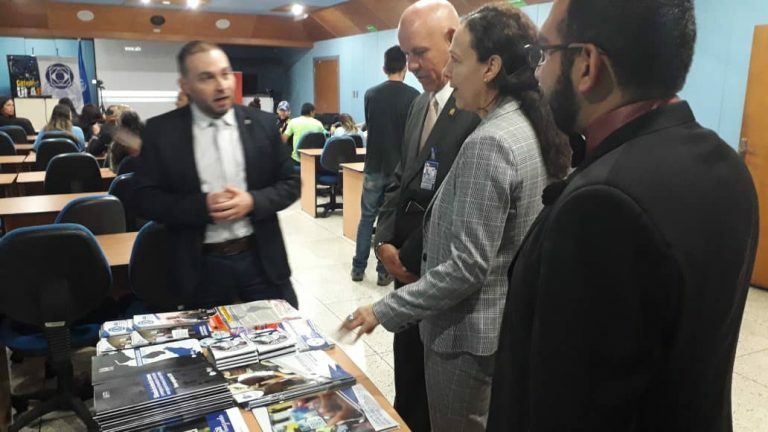 Likewise, the ODH–ULA also urged the State to accept promptly humanitarian aid, as envisaged by international humanitarian law, whereby the population could be assisted by countries, institutions, and human rights NGOs that have offer their assistance, in order to solve as soon as possible the serious economic and social crisis the Venezuelan people is facing.